Lana Del Rey and Anthony Mandler’s most ambitious project to date – the 30-minute short film Tropico – has made its worldwide premiere on VEVO! Team Raconteur was thrilled to attend the December 4th big-screen premiere at the famed Hollywood Arclight Cinerama Dome, where we got to witness the Lana-mania firsthand. Tropico is an epic three-part tale inspired by the biblical story of the Garden of Eden, featuring Del Rey as Eve and model Shaun Ross as Adam. 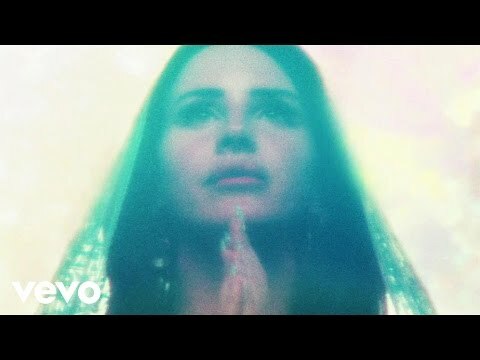 Through connected vignettes set to songs from her highly-successful expanded album Born to Die – The Paradise Edition, the film time travels to present day Los Angeles while exploring the running themes of good vs. evil, the loss of innocence, and redemption. Anthony Mandler brings his cinematic visual sensibility to give each sequence of Tropico its own distinctly mesmerizing touch, be it the fantastical surrealism in the Garden of Eden with “Body Electric,” the gritty realism of LA as a modern day hell on earth in “Gods and Monsters,” or the ethereal dawn light washing over the couple as they return to paradise in the final act, “Bel Air.” TIME sat down with the Believe Media director to ask him about his ongoing creative relationship with the pop chanteuse, and how Tropico is the bookend to visually close out Del Rey’s Paradise chapter.